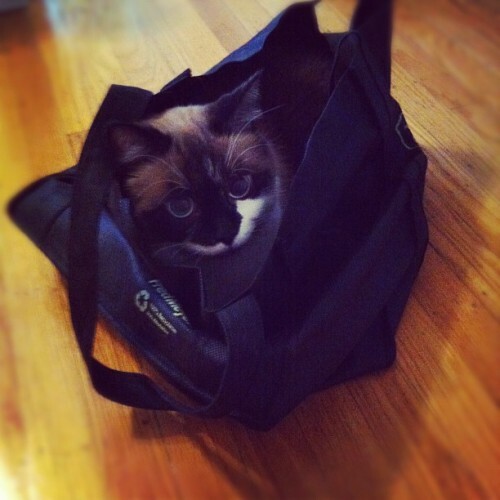 my dumb cat can't resist climbing into bags. Man, your cat is too cute. I'm not even really a cat person and OMG. It's like an anime art cat. He's a monster who keeps me awake at night. Do you forgive him because he's horrifyingly cute?